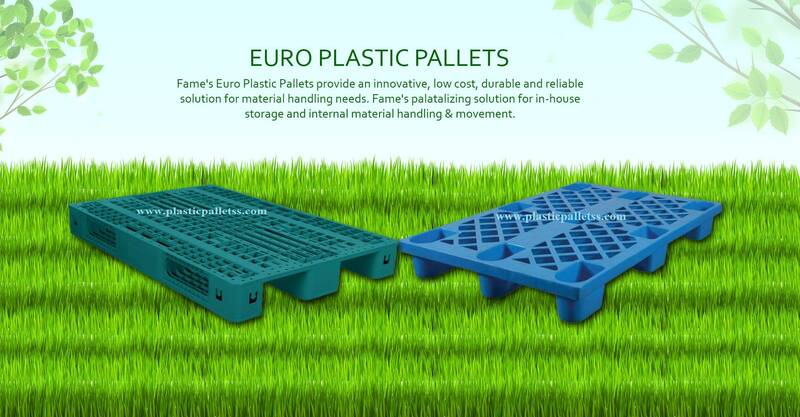 Fame Plastic Pallets, which are identical for pharma, food and chemical industry for stacking and racking. Fame Pallets are made out of Linear High-Density Polyethylene in one piece, Strong and durable. fame Pallets are designed for Easy handling & transportation of goods within & outside the factory/godown premises with little effort & labor. Our range of Industrial pallet, warehouse Pallet, export Pallet, euro Pallet, They are tough , durable, reusable and cost effective.